National and international experts from academia , institutions , from industry and enterprise, many young people partecipated to “Projects for another Italy in Europe”. After the messages received by the Minister Bonino, the President of the Chamber Boldrini , the Secretary of the Democratic Party Epifani , the Deputy Minister Catricalà, the Vice – Chairman of the European Parliament Pitella, a statement of support and appreciation to the initiative by the Mayor of Rome Marino, the video message from the leader of the House of Deputies Speranza opened the conference. 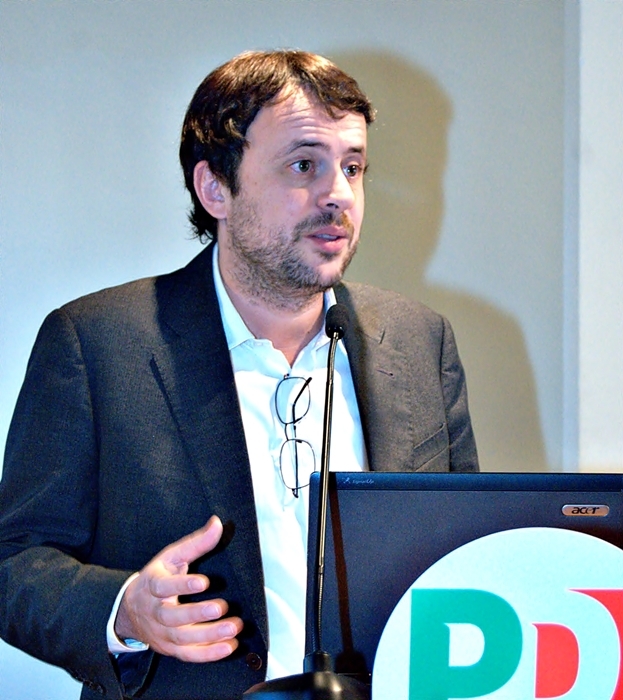 Massimo Preziuso , President of European Innovators , did a quick overview on the project , which started in 2006 as a place for development and design of indipendent policy, supporting the idea of ​​the urgency of establishing a new political reformist and pro-European party , remains today an autonomous movement that operates in Europe and in the world . The interventions , thanks to the distinguished speakers have pointed out – hoping for new directions of political and economic growth for Italy in Europe and in the world, in a context characterized by the difficulties of the United States , the complexity of the Chinese and Indian growth , the new opportunities from southeast Asia, and the natural but culturally difficult convergence with reality like Turkey or north Africa – the urgent need to strengthen the italian strategy and industrial policy. It also became clear that Italy can be a leader in the software industry and know how based industries , and how the project European Innvoators , building collaborative networks for the promotion of Italian talents in the world is the lifeblood for the revival of a joint project to support Italy and Made in Italy in the world. It has been so easy to go to the final session, remembering how European Innovators has already given way to political experiences with independent programs based on a new policy-making aimed at the transformation of smart cities and their governance in progressive optic . From the conference, it is clear the need for a country that produces wealth and consumption in all the territories and put in a new network knowledge and production, in which medium towns and large cities, around a Smart Capital, remain the protagonists. The need to give breath to a wider European movement , shared with many of the featured speakers, in a collaboration with the different pro-European organizations, based on the hot topics and more than actual 2014 european elections (during the 2014 first semester of Italian Presidency of Europe the real construction of a Euro-Mediterranean community , with a ”South of Italy” leadership, will be necessary), will see European Innovators as a protagonist of the Italian revival in Europe, starting with the next election campaign. The construction of an Italian leadership in Europe and in the Mediterranean passes exactly by a renewed capacity to develop complex long-term projects. This will continue to be our goal and our commitment .